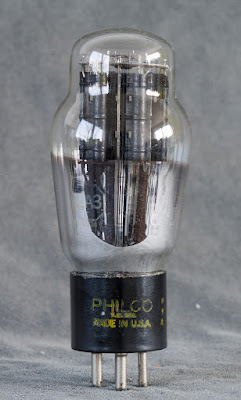 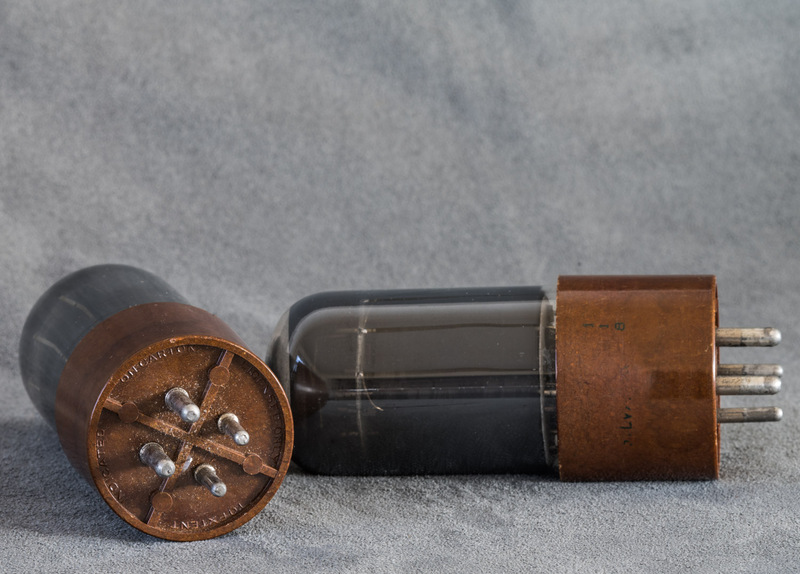 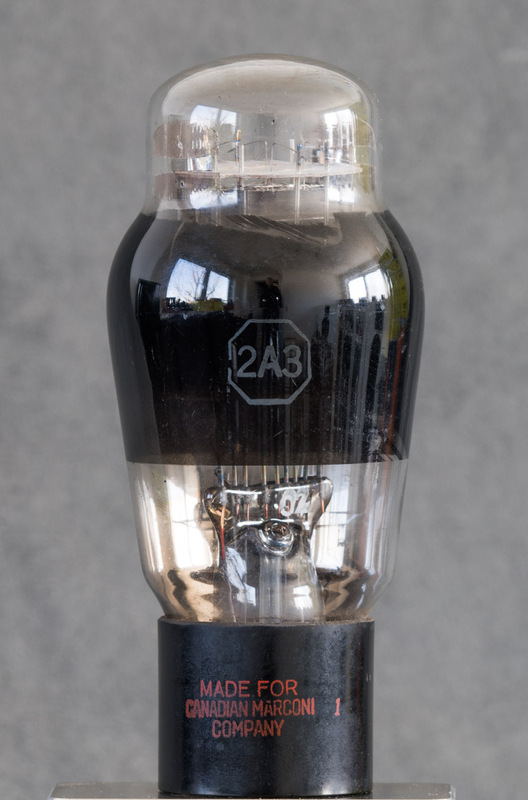 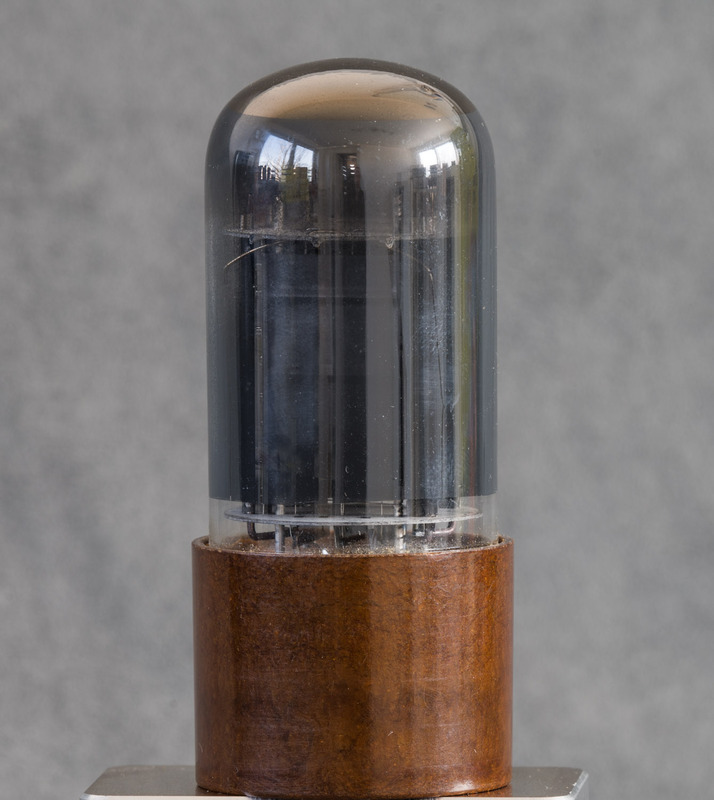 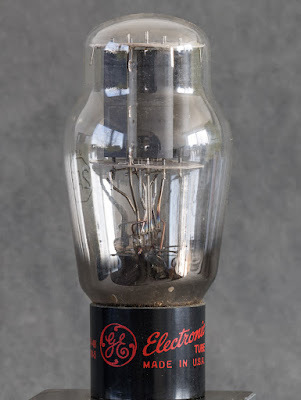 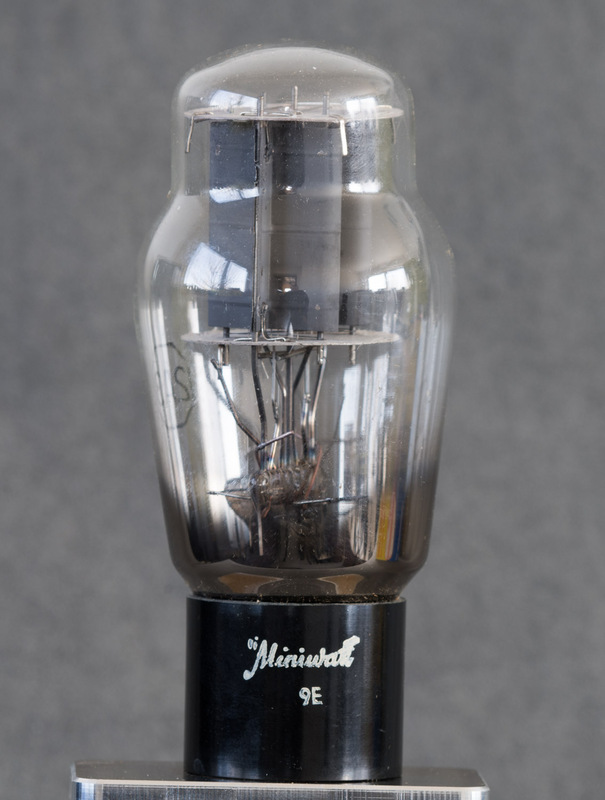 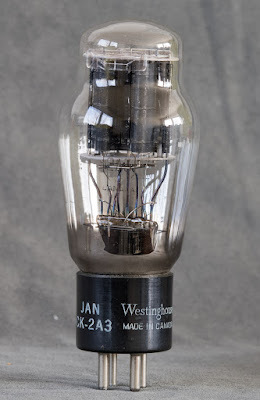 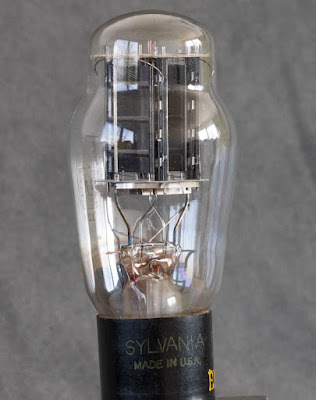 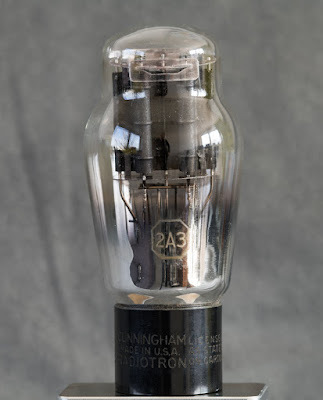 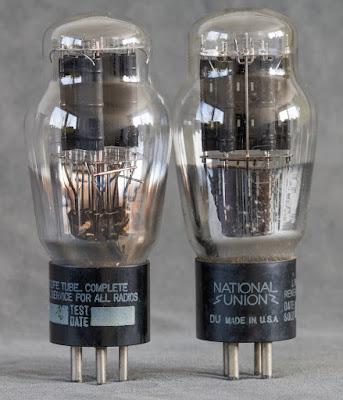 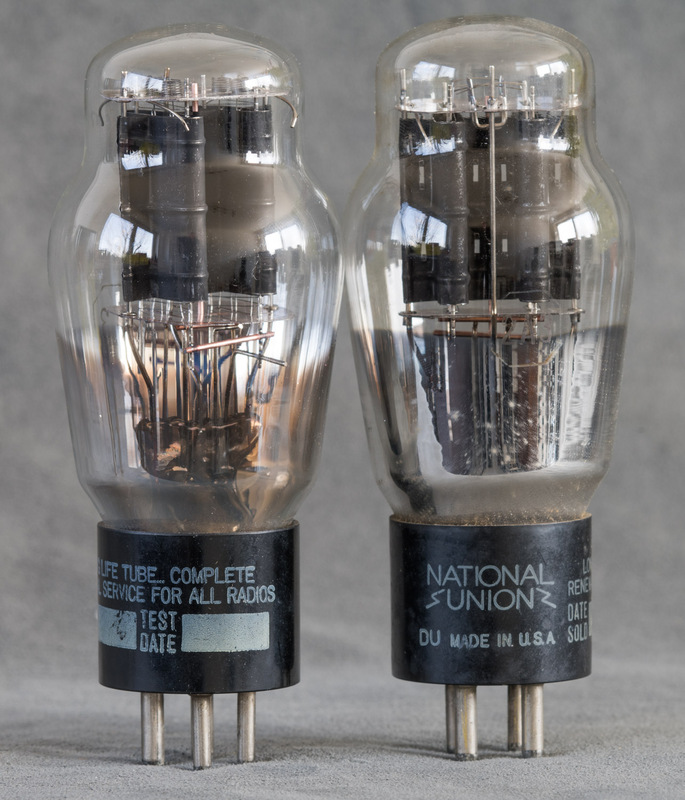 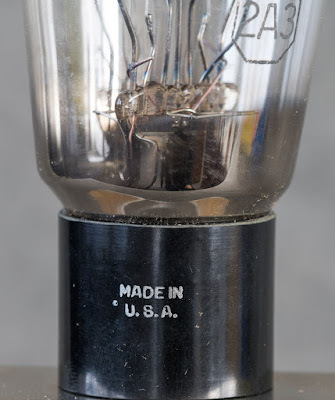 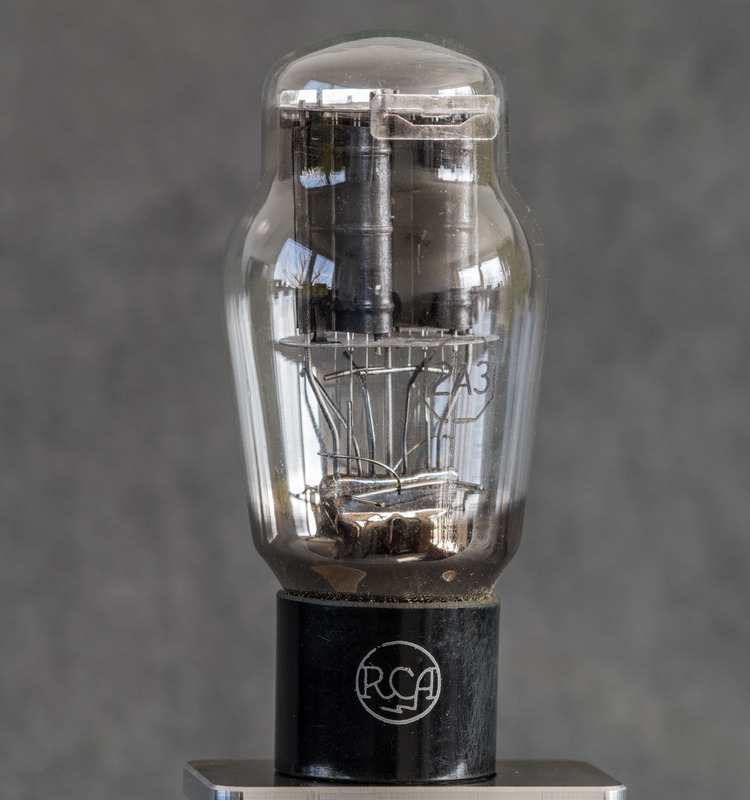 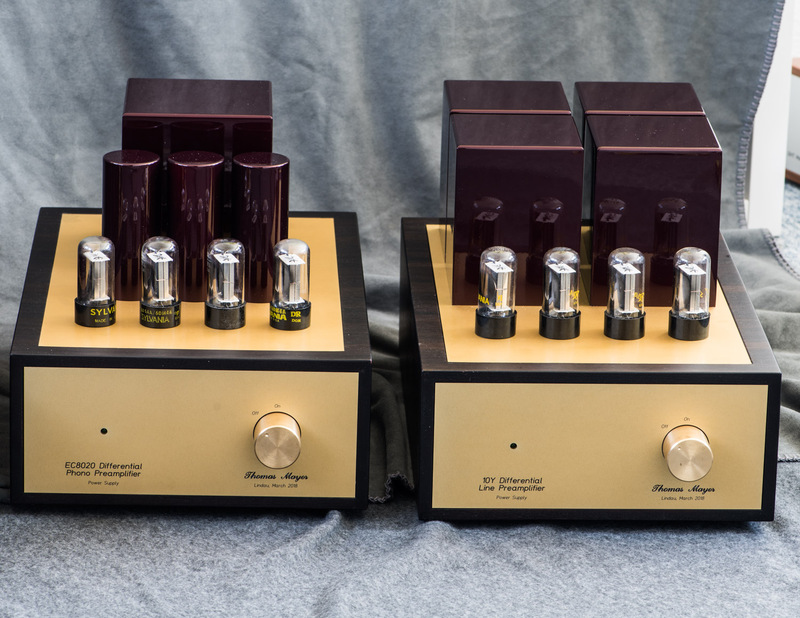 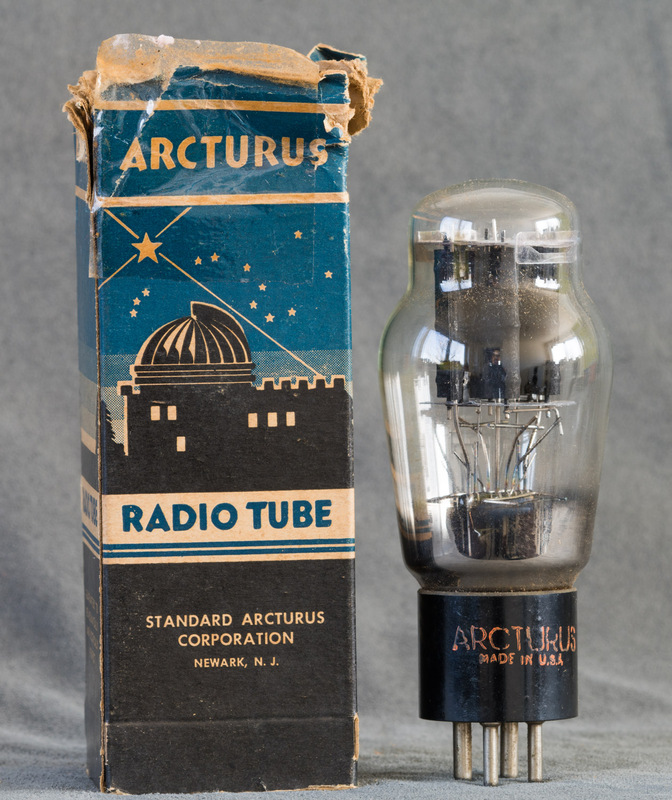 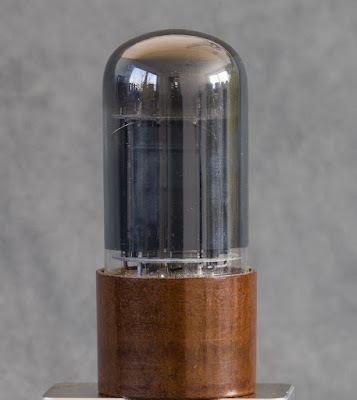 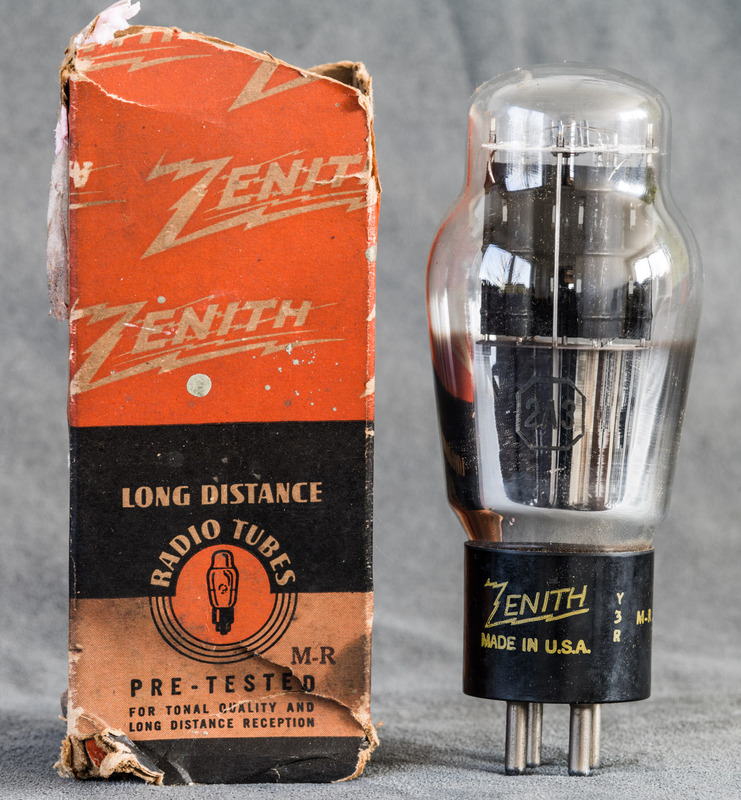 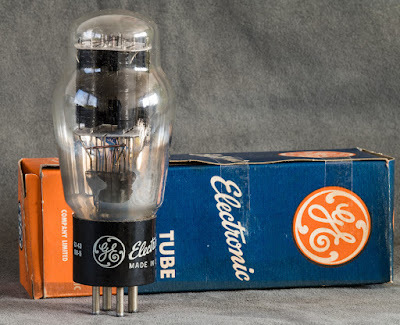 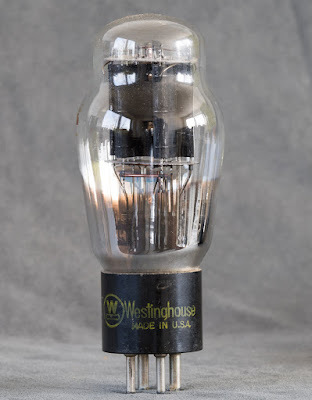 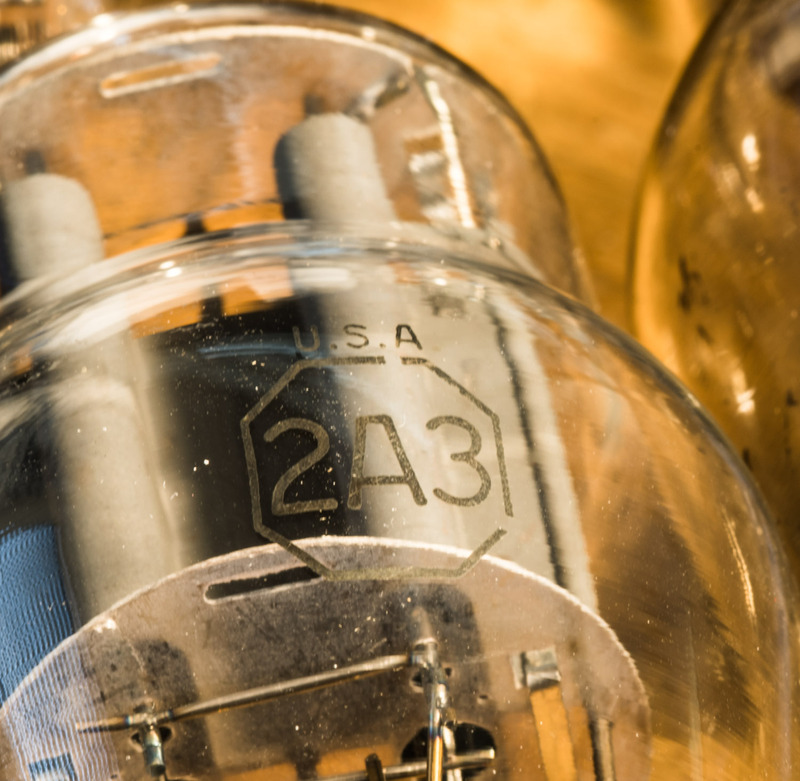 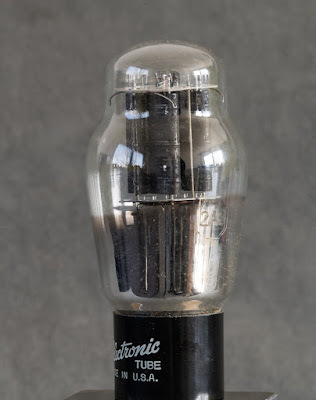 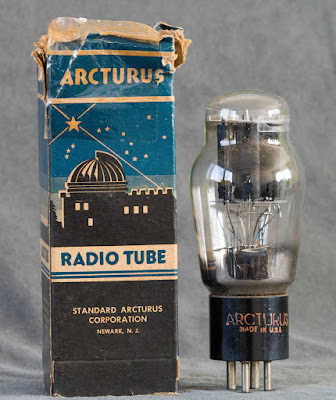 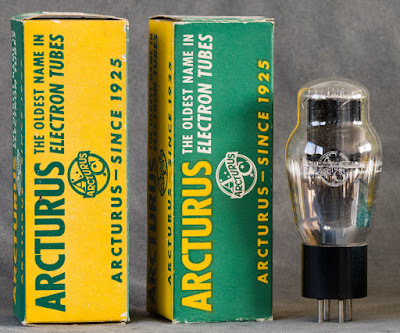 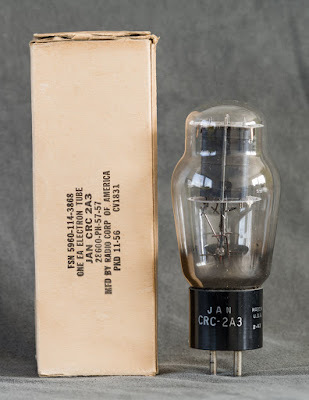 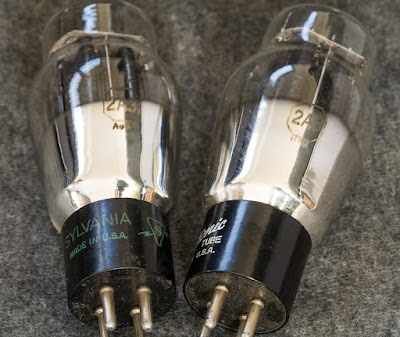 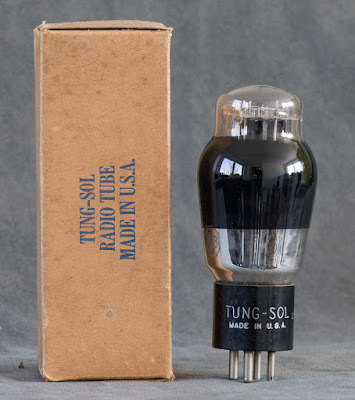 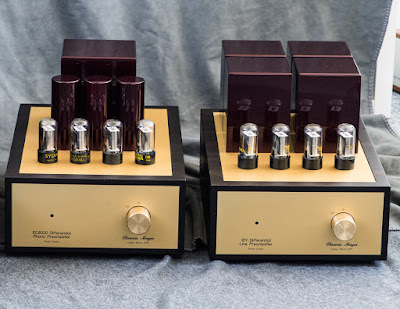 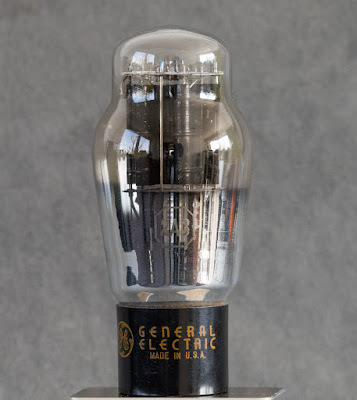 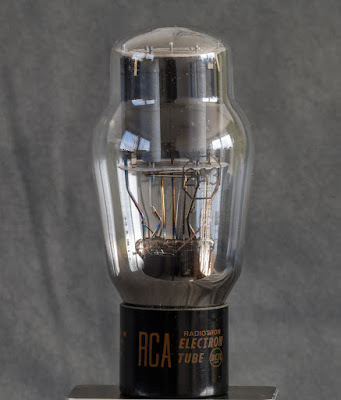 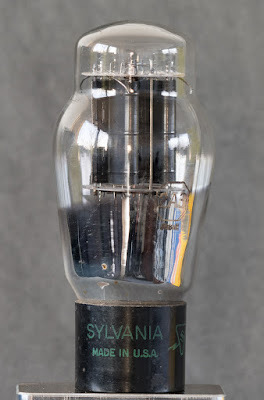 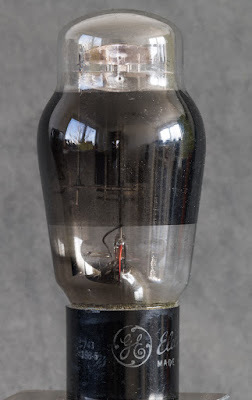 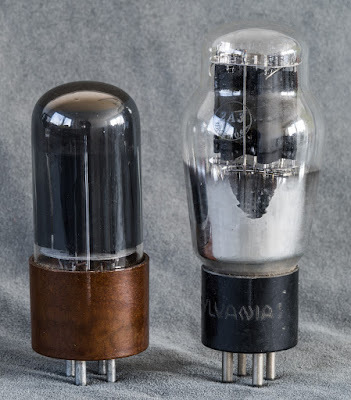 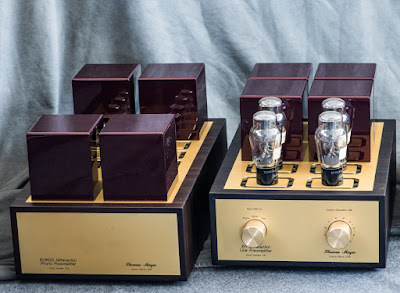 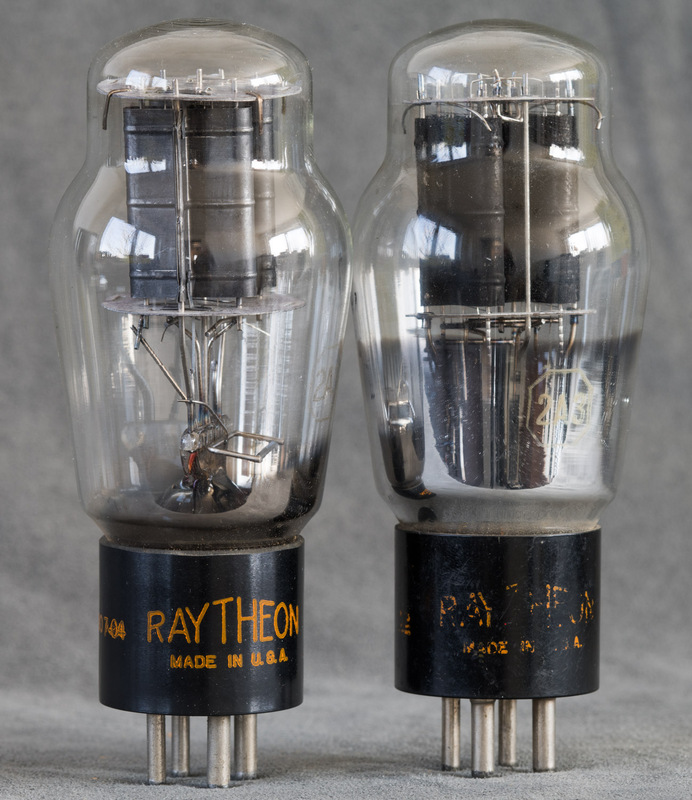 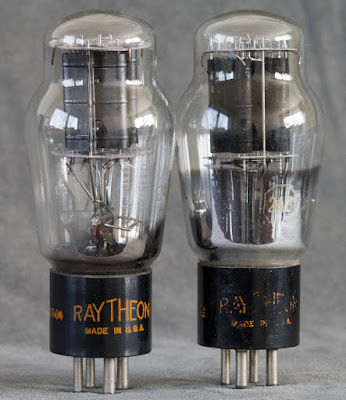 Since I just finished an amplifier which uses this tube, I thought it is a good time to present the 2A3 as tube of the month. 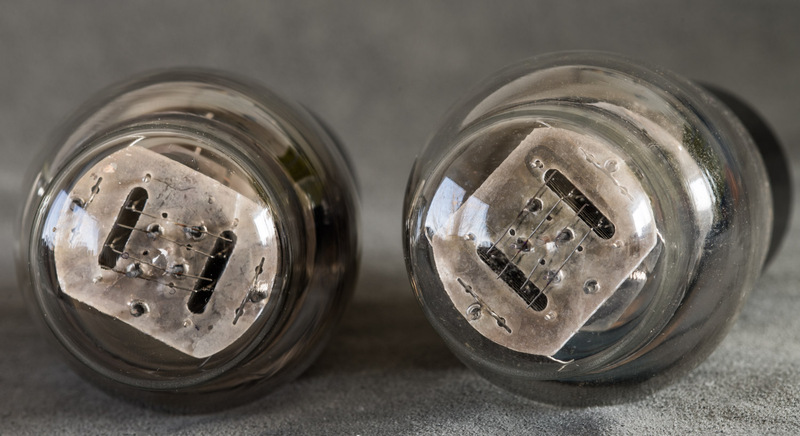 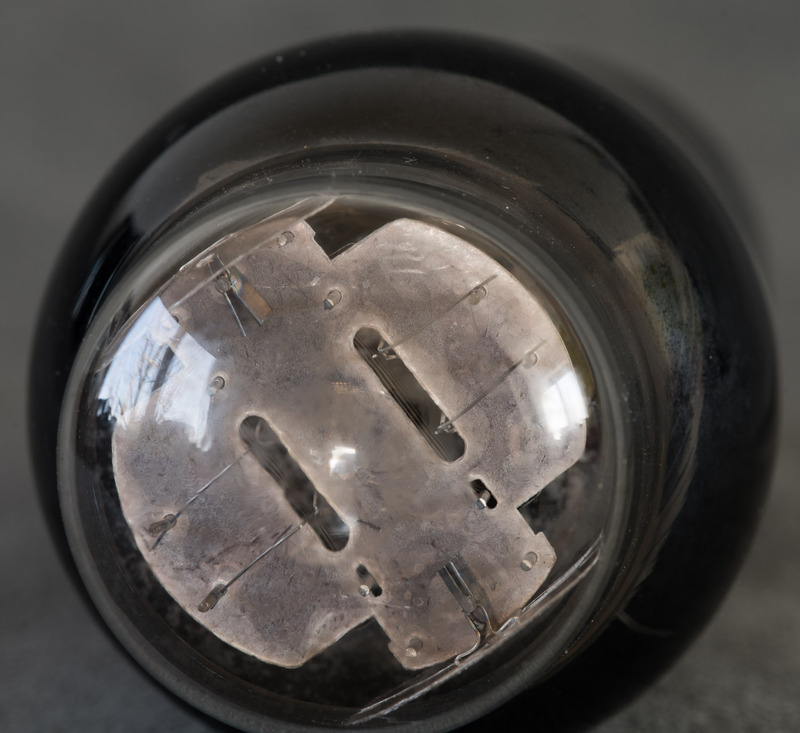 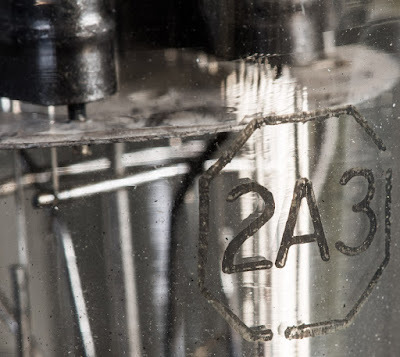 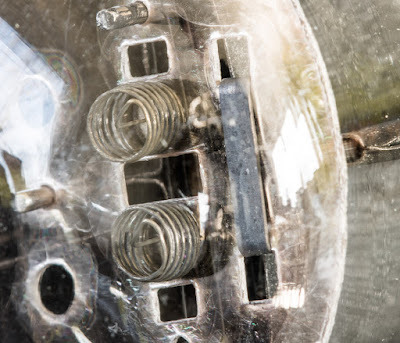 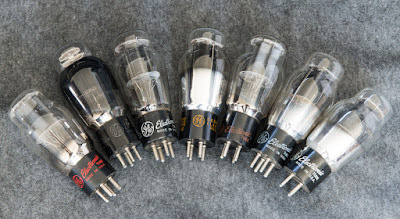 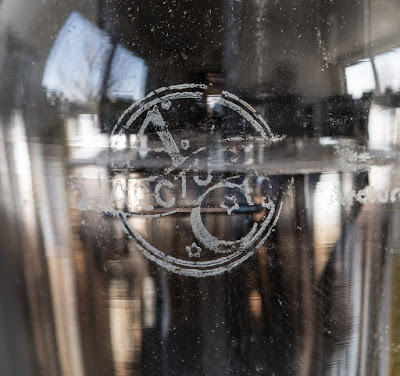 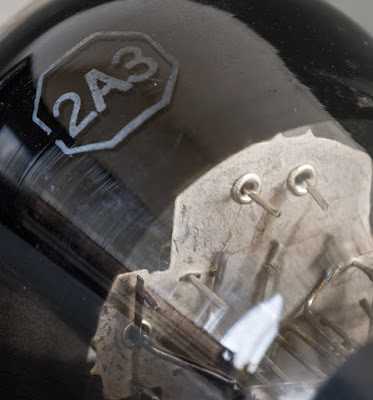 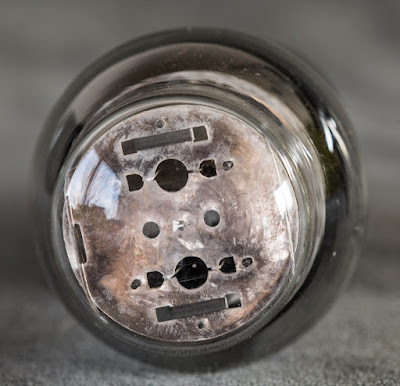 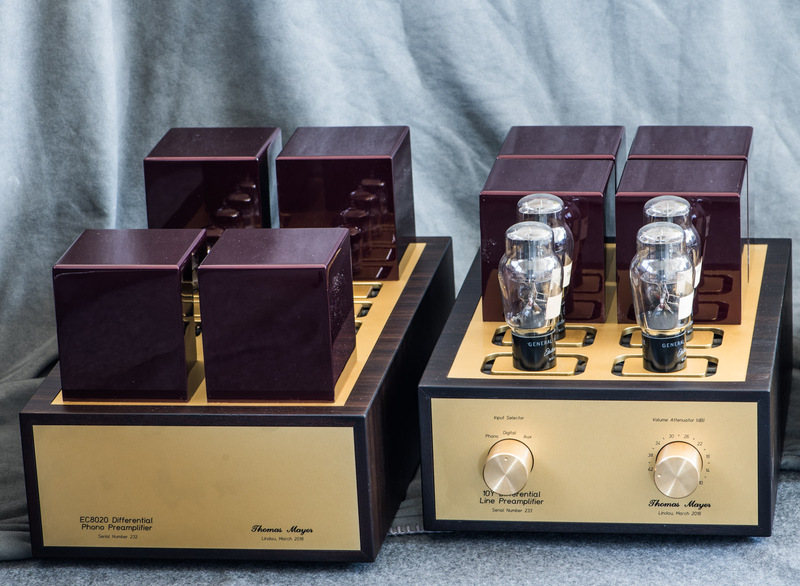 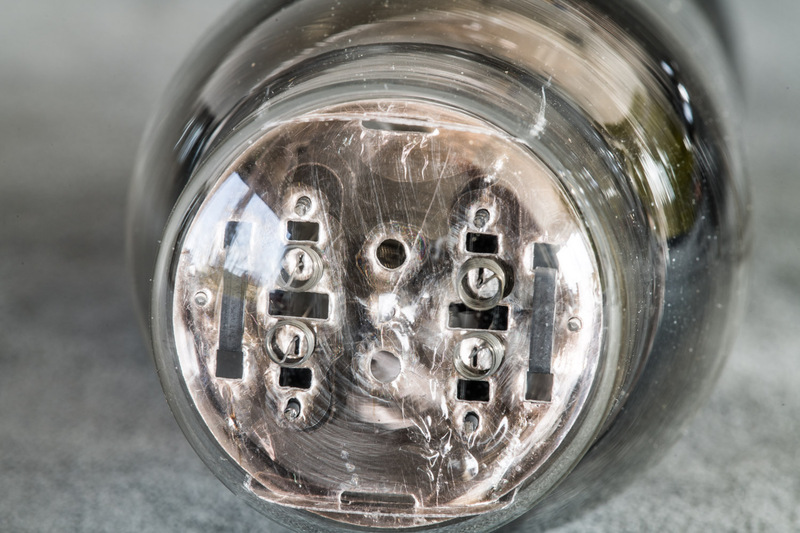 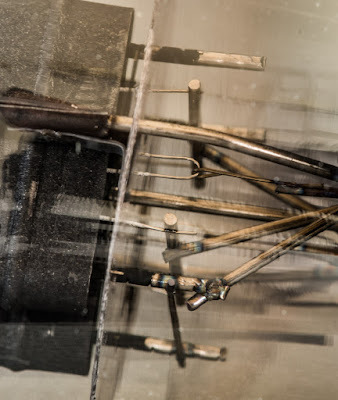 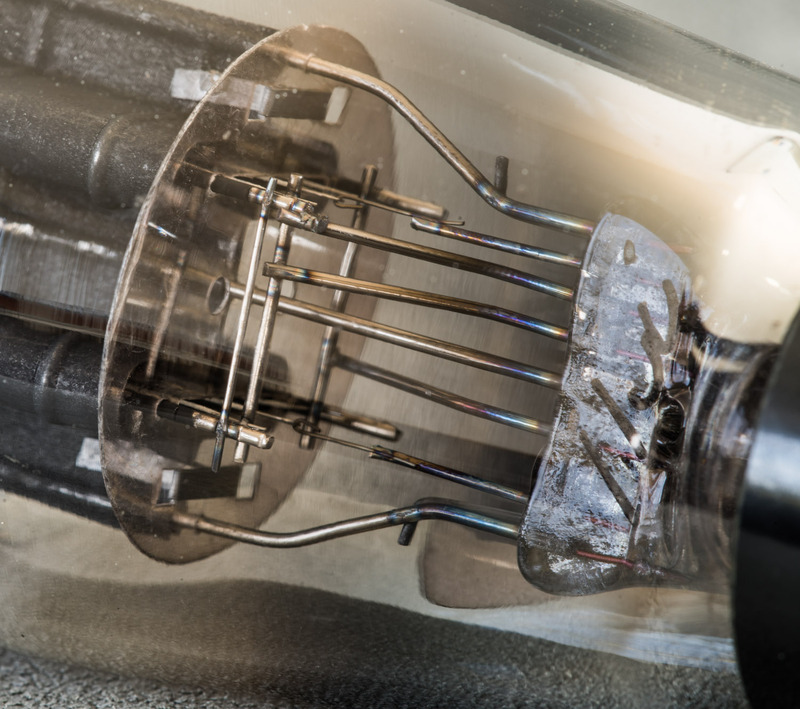 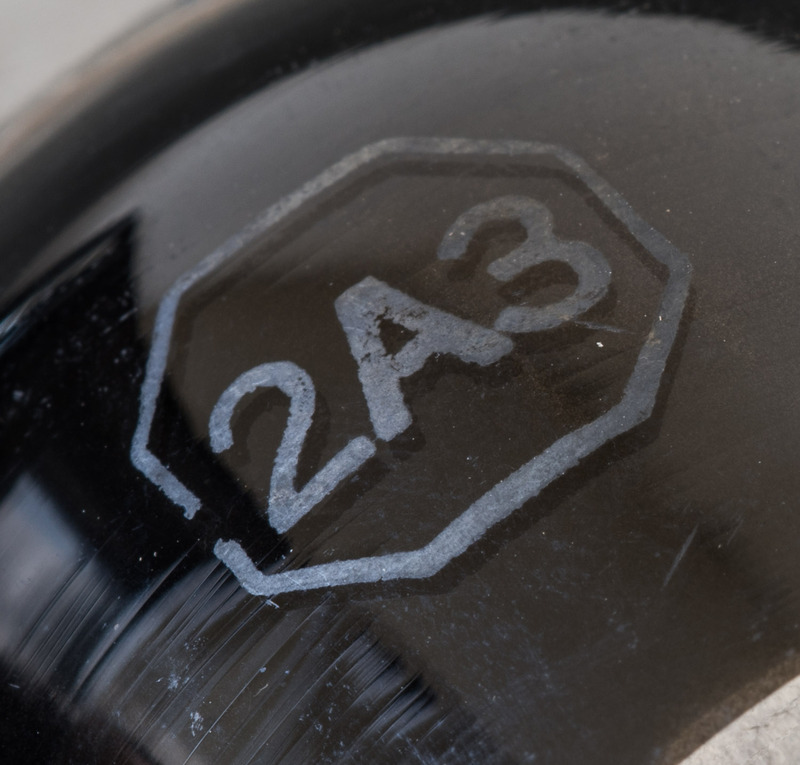 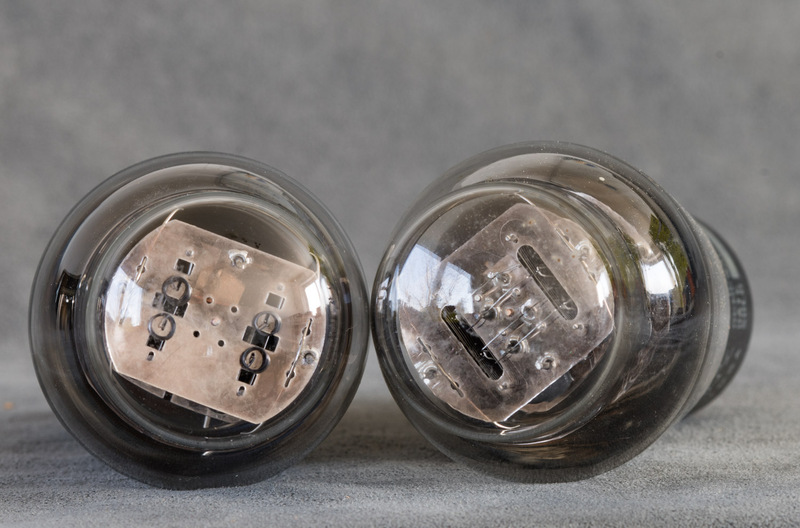 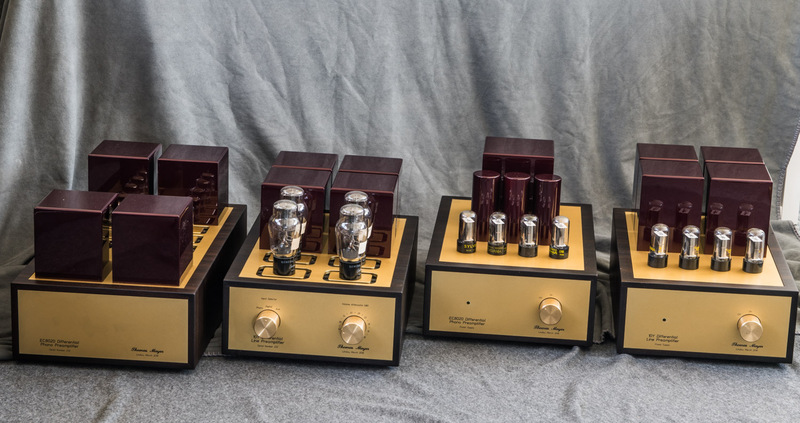 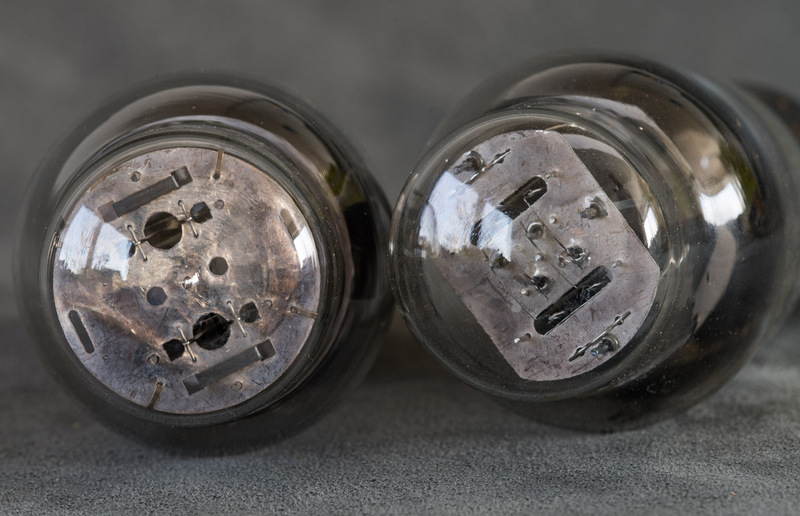 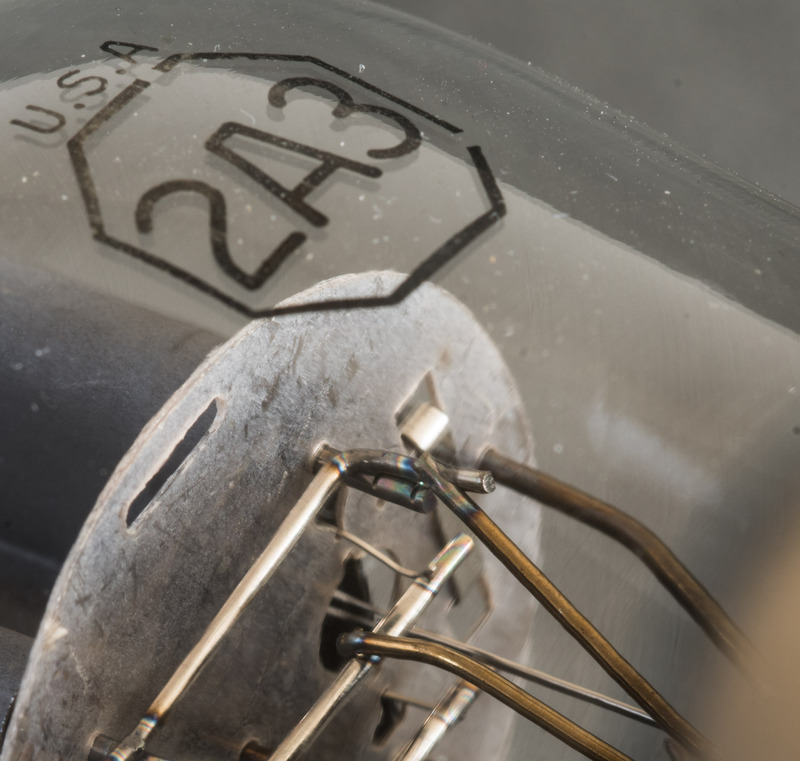 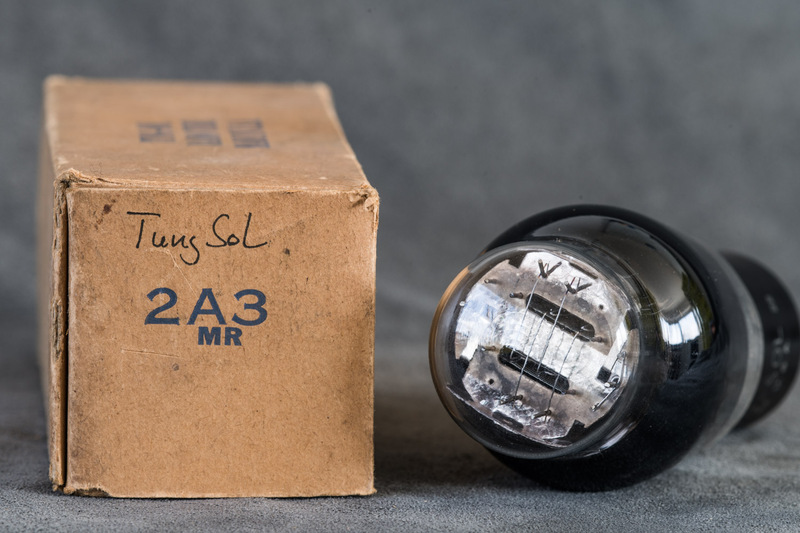 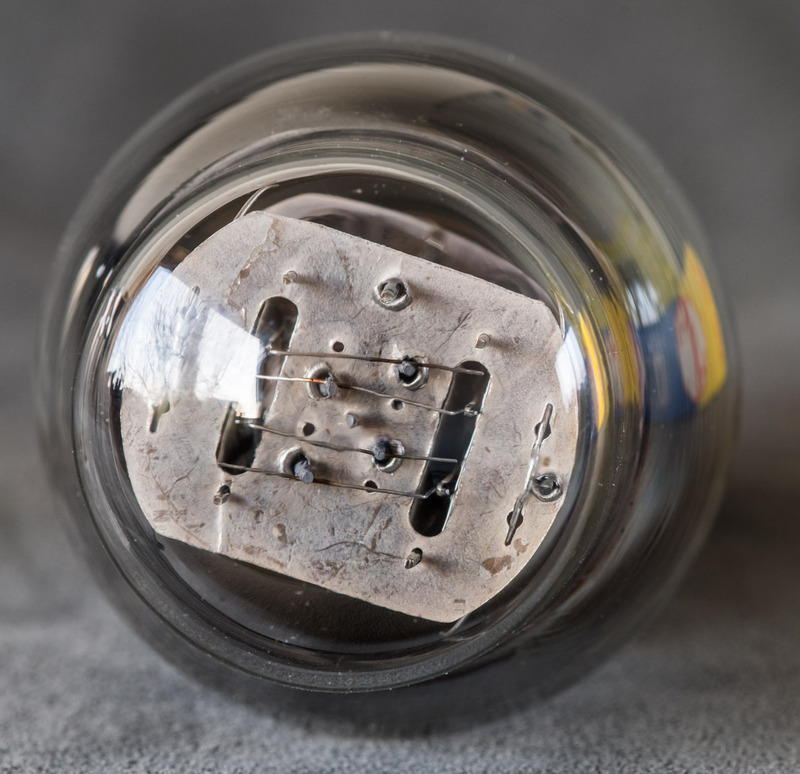 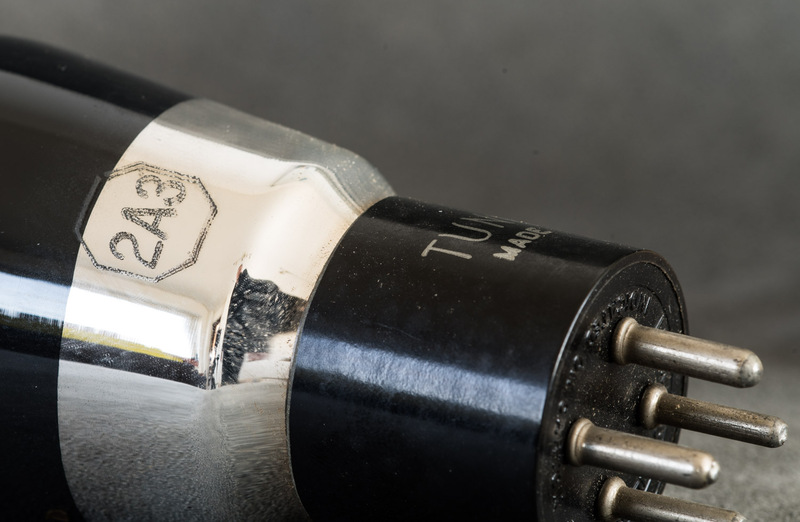 The 2A3 is a directly heated output tube which enjoys continued popularity over the decades and is even still made to day by various manufacturers. 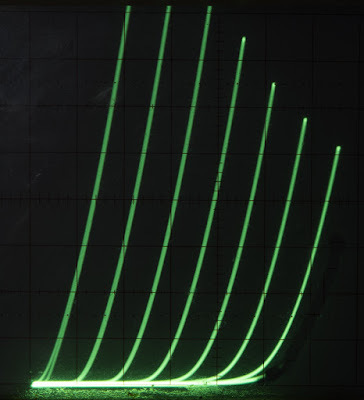 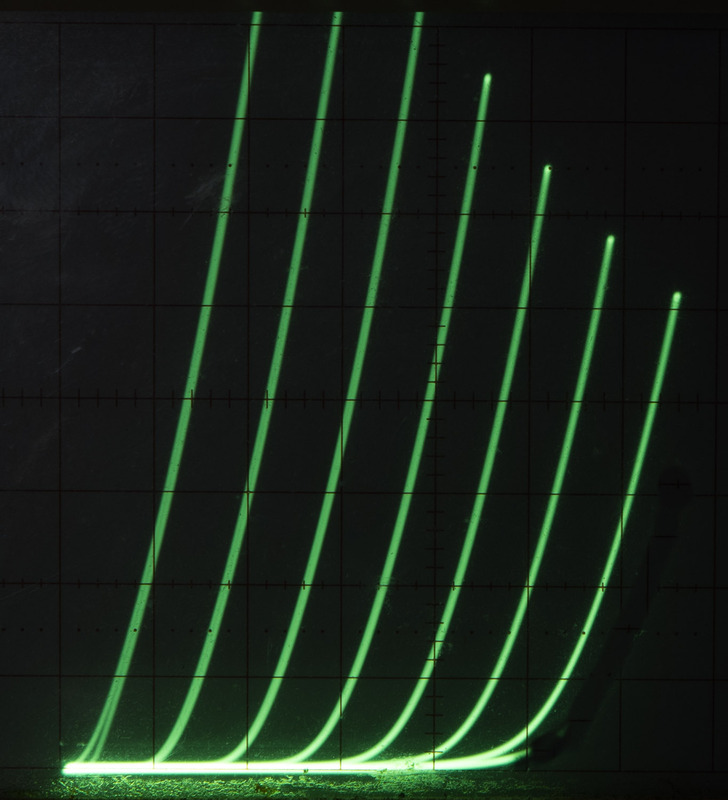 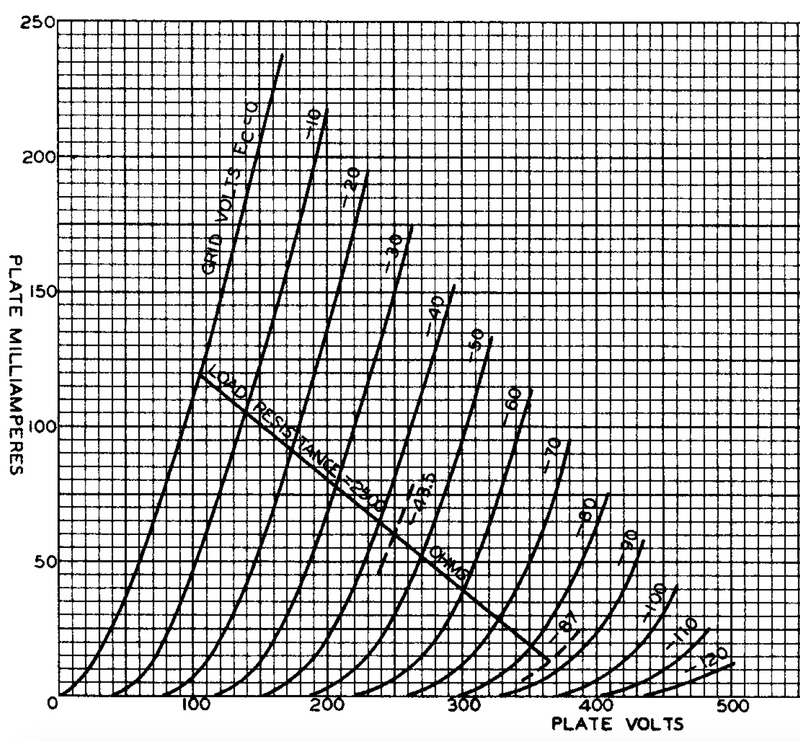 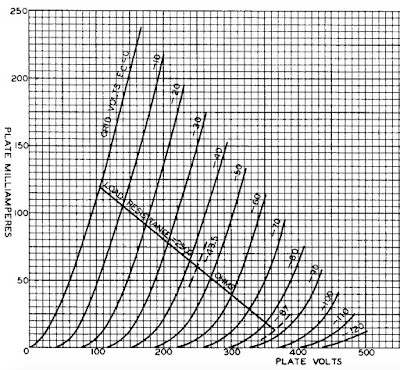 The plate curves are as linear as you can expect t from a directly heated triode. 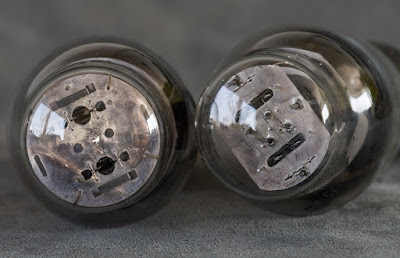 Ideal for no feedback amplifiers. 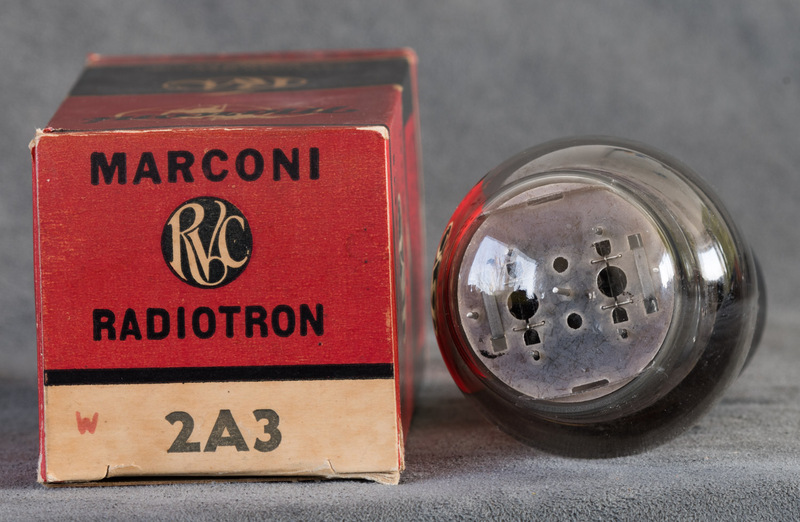 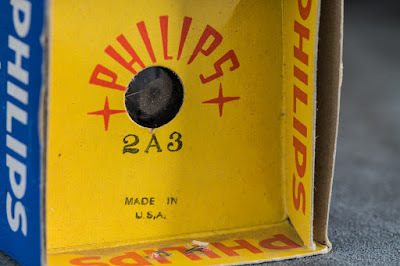 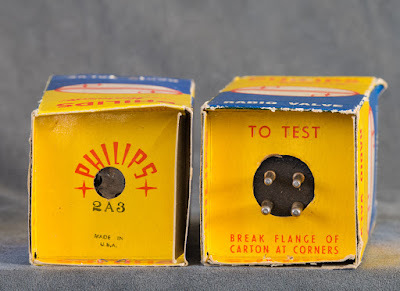 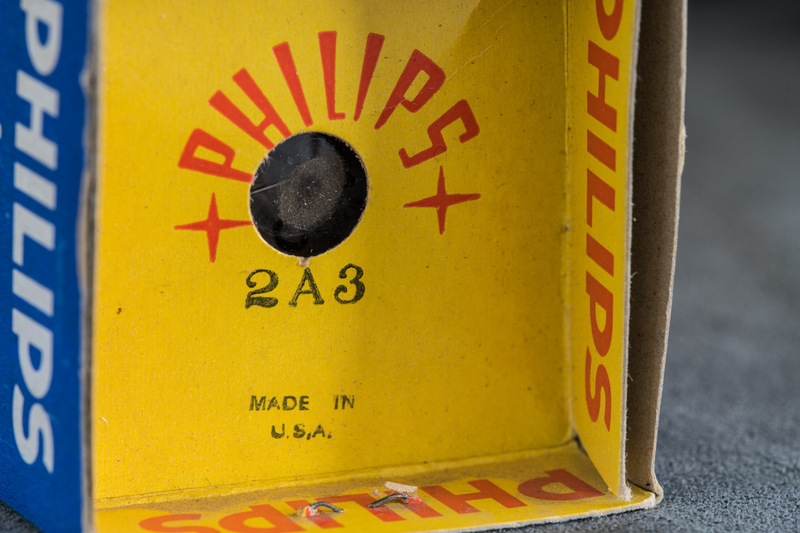 RCA probably made most of the 2A3s. 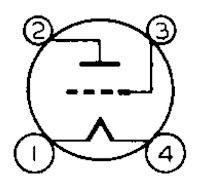 Here we see the typical bi plate structure, the most common variant of 2A3. 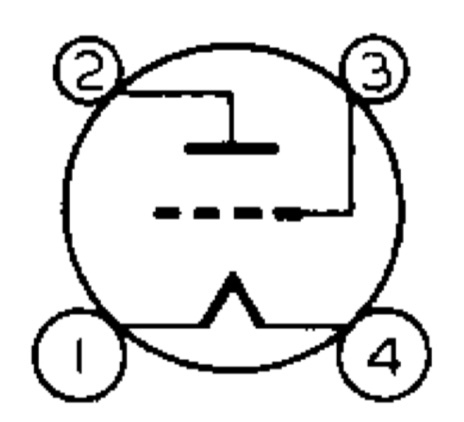 This is a ruggedised version made for the military or industrial applications. 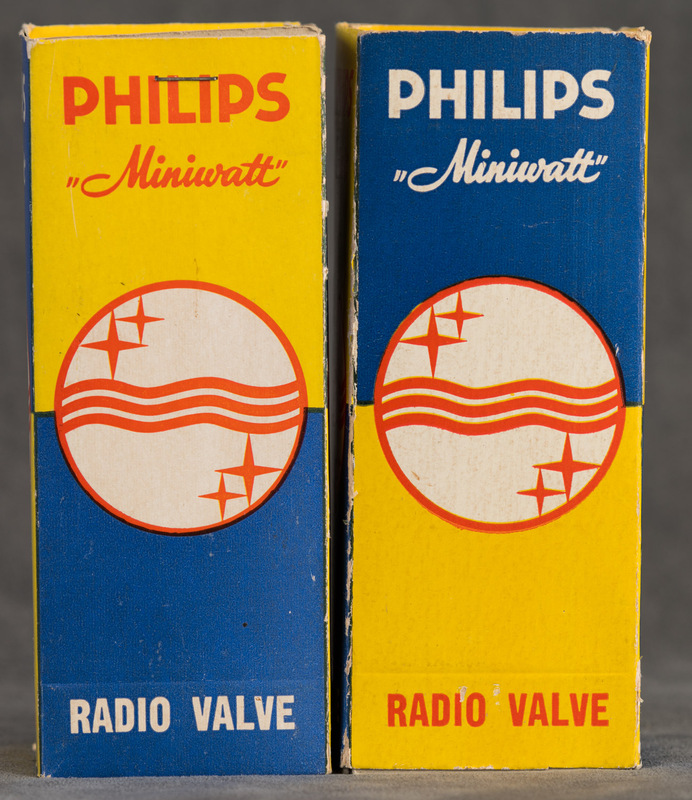 Cross branding was very common, manufacturers sold tubes to each other. 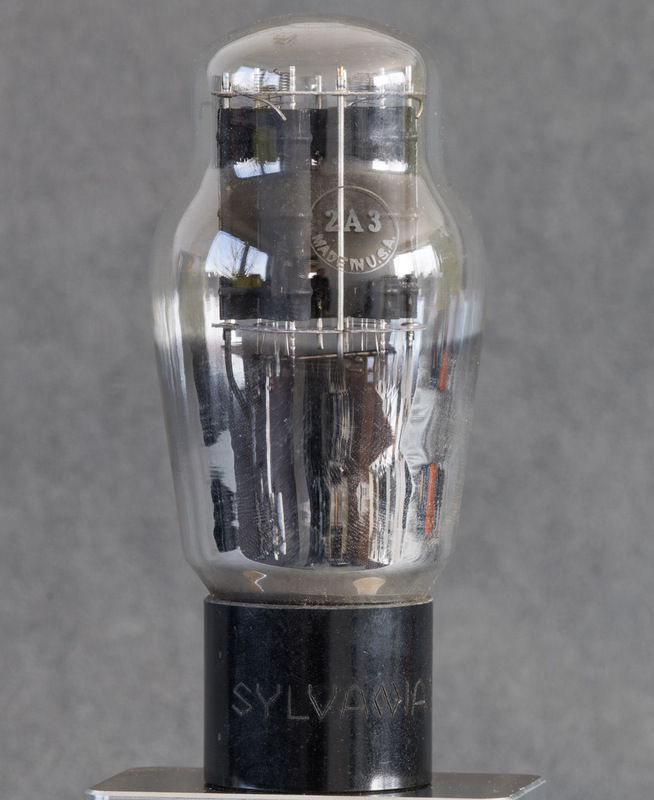 This one has the black coating in the middle as was mainly done by Ken-Rad. 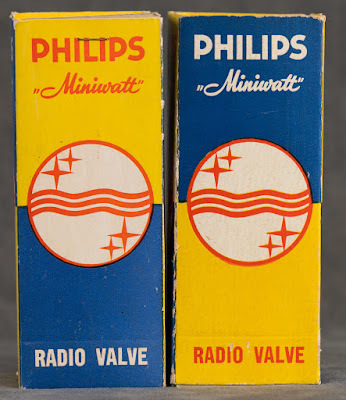 These two look like RCA made. 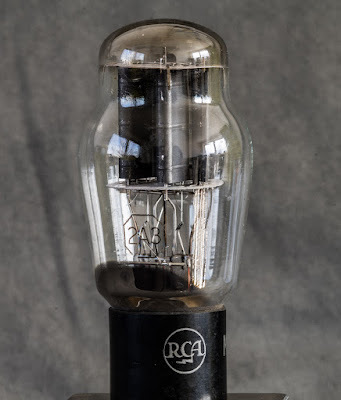 Seems to have been made by RCA. 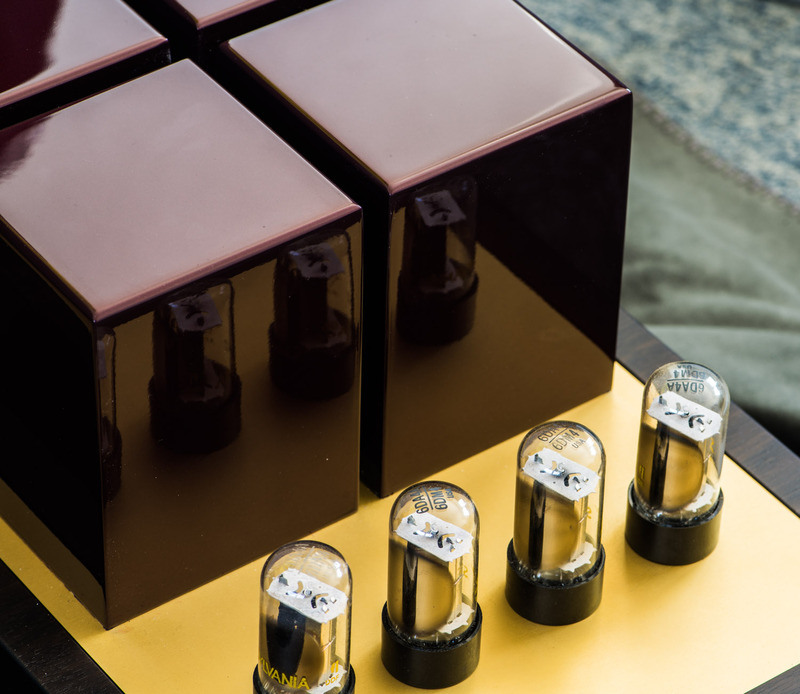 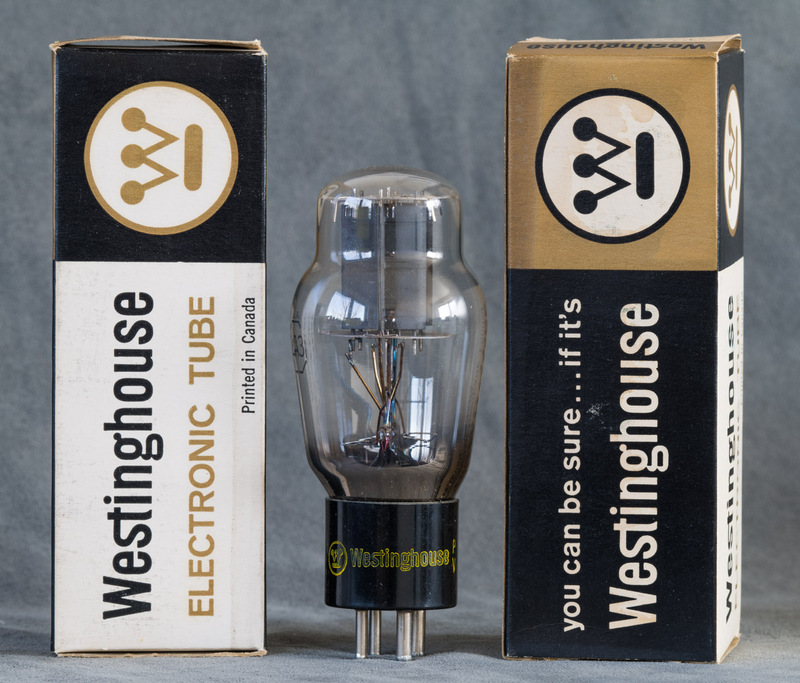 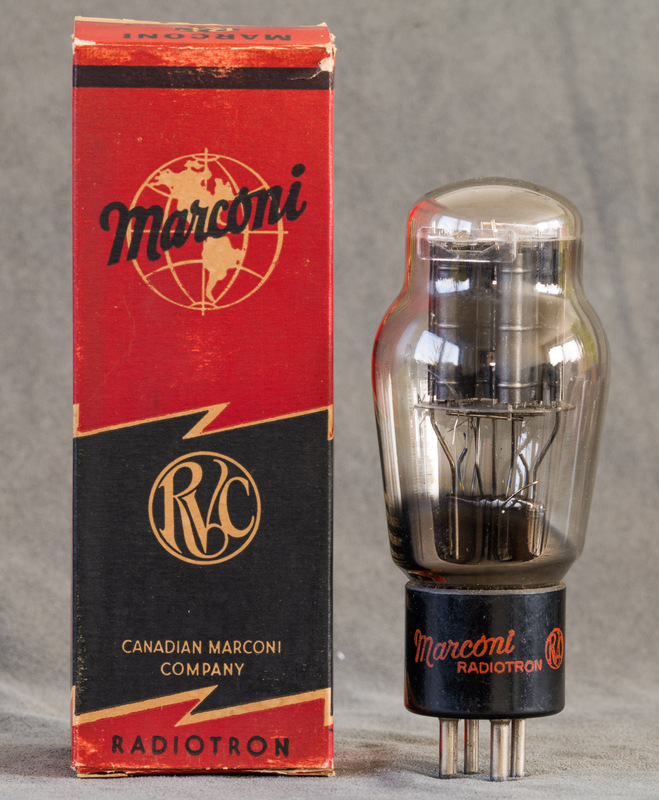 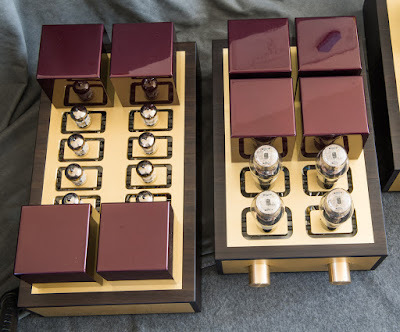 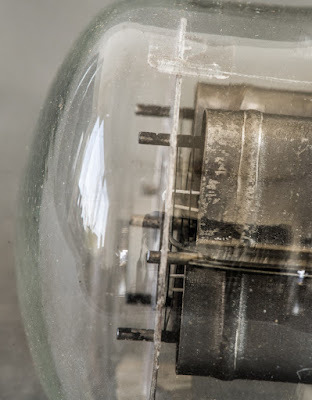 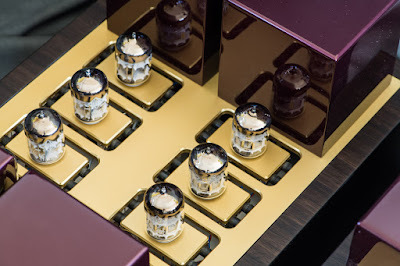 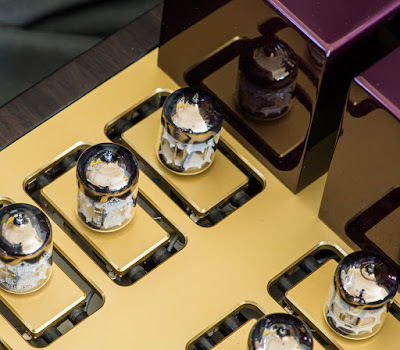 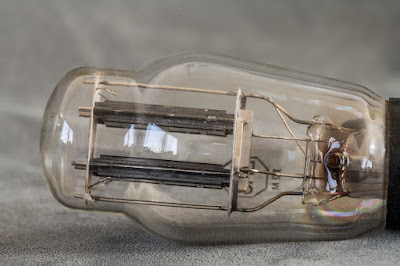 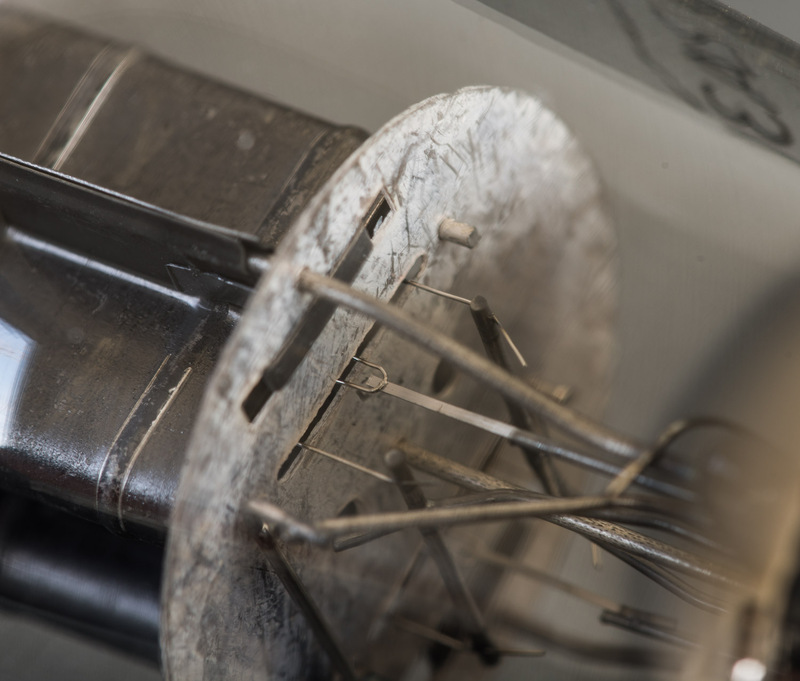 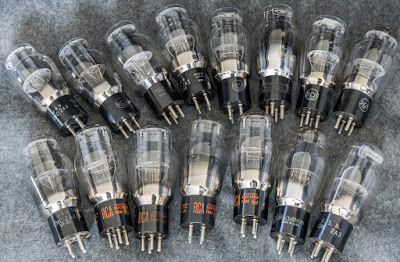 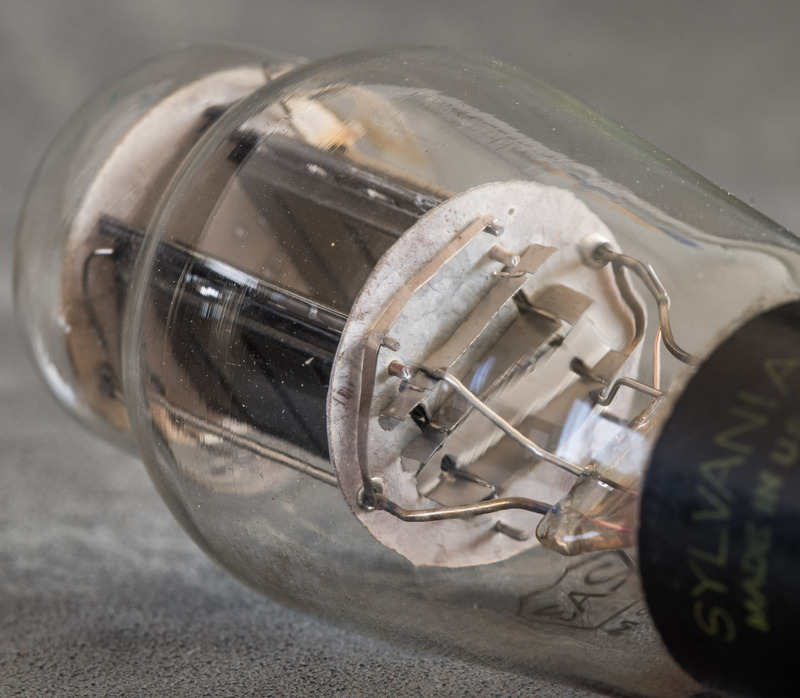 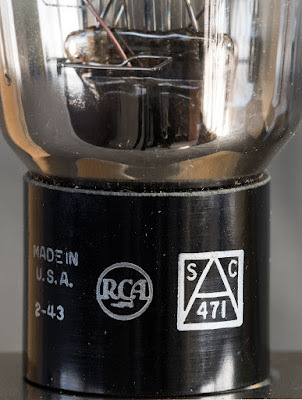 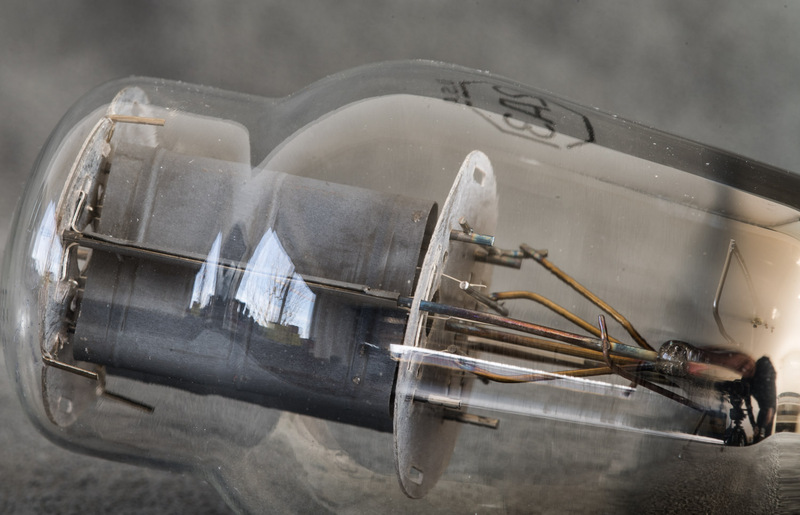 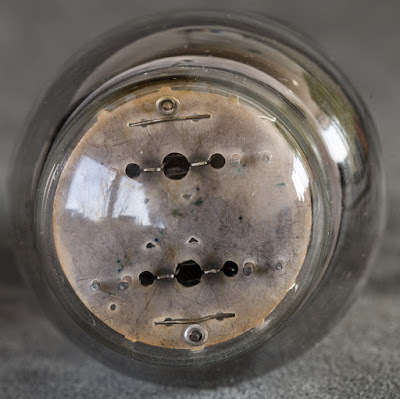 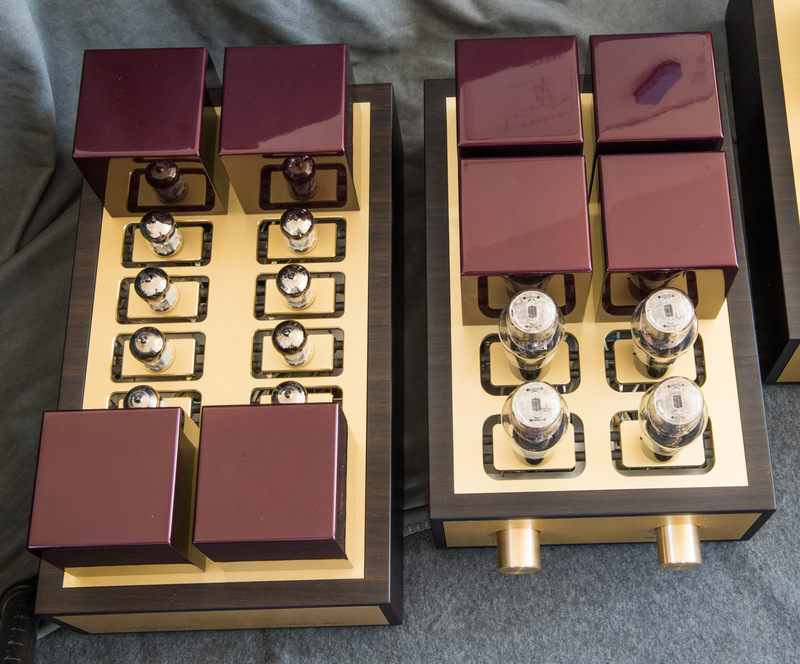 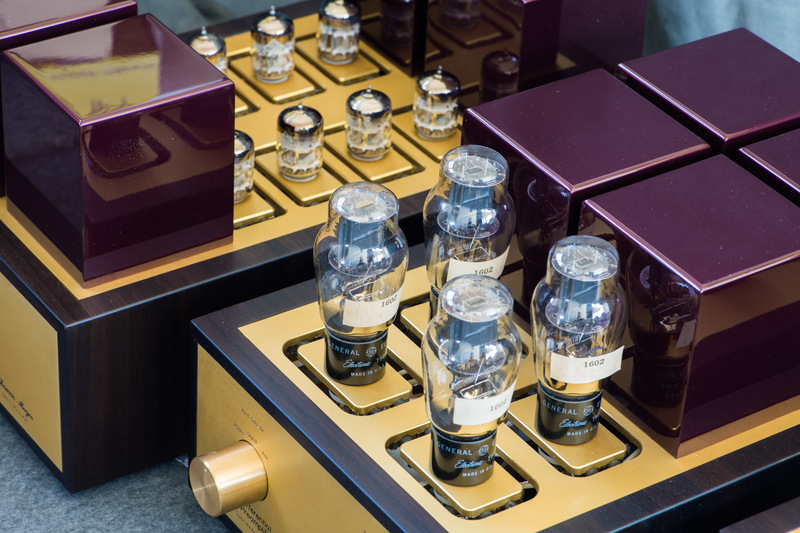 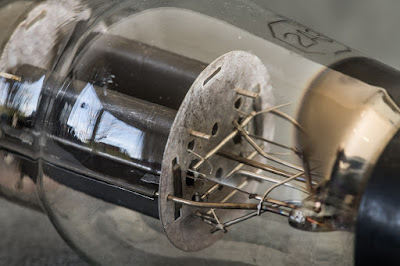 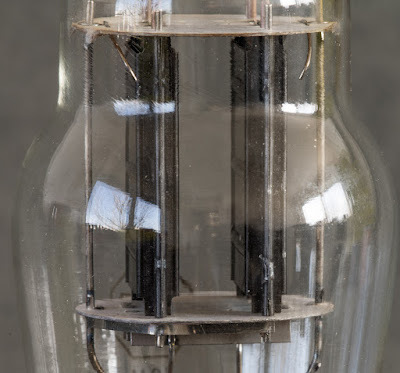 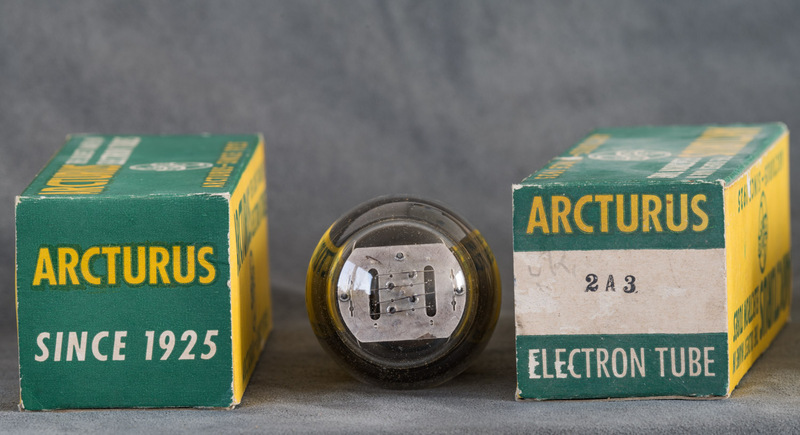 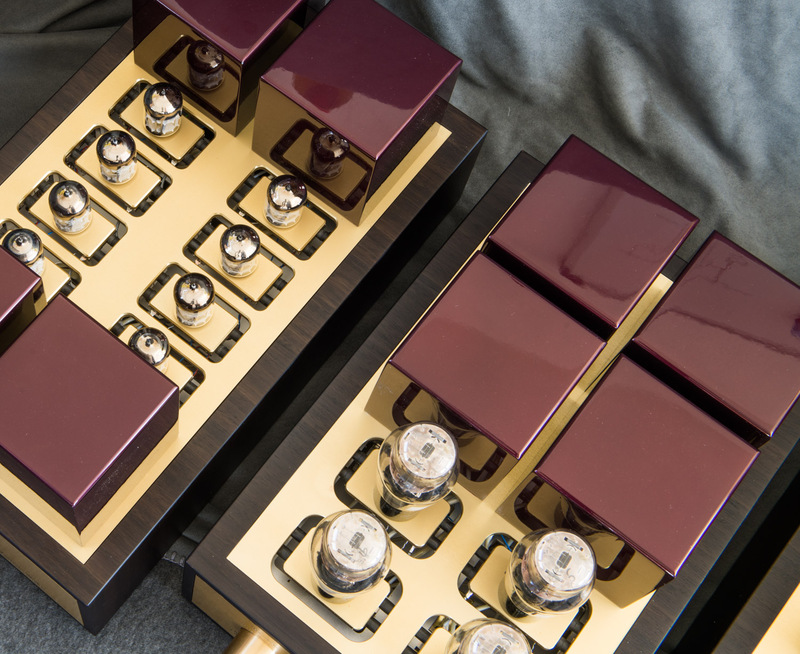 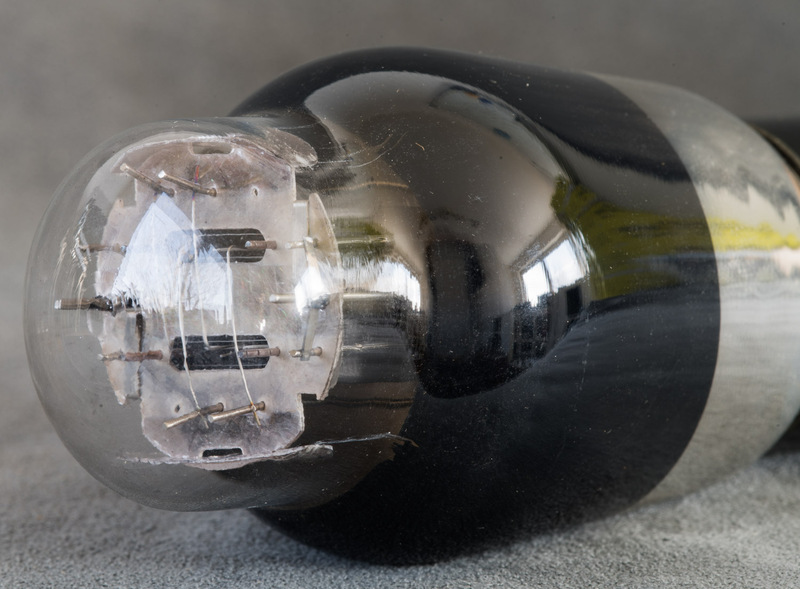 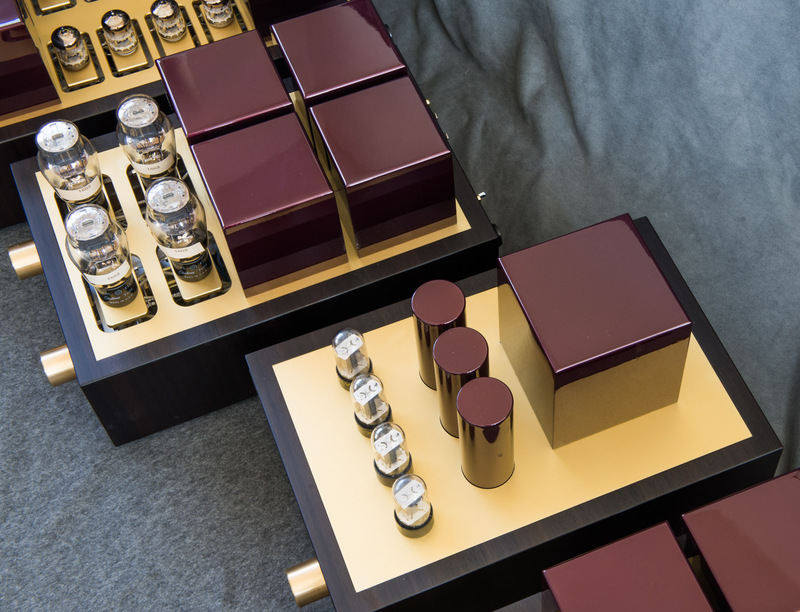 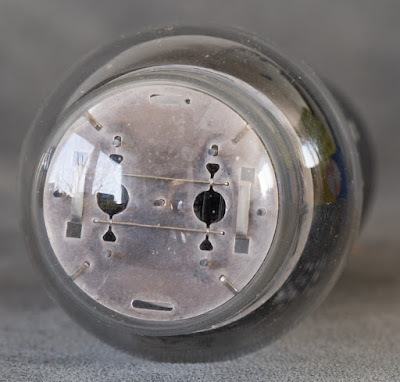 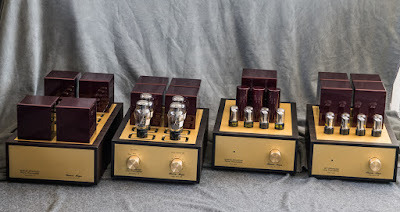 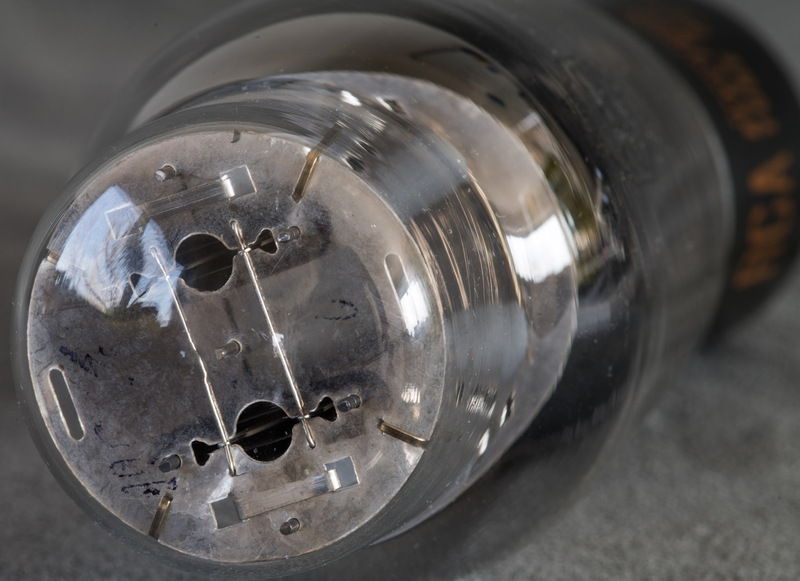 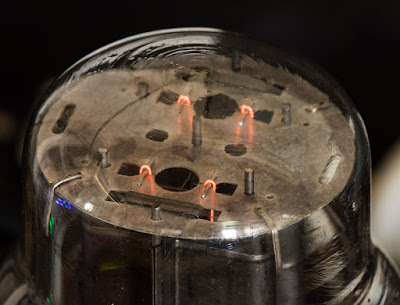 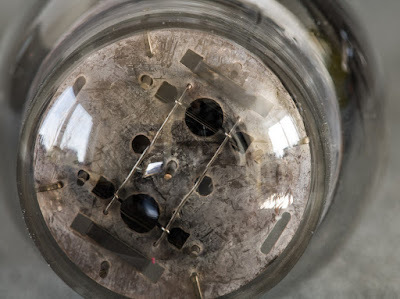 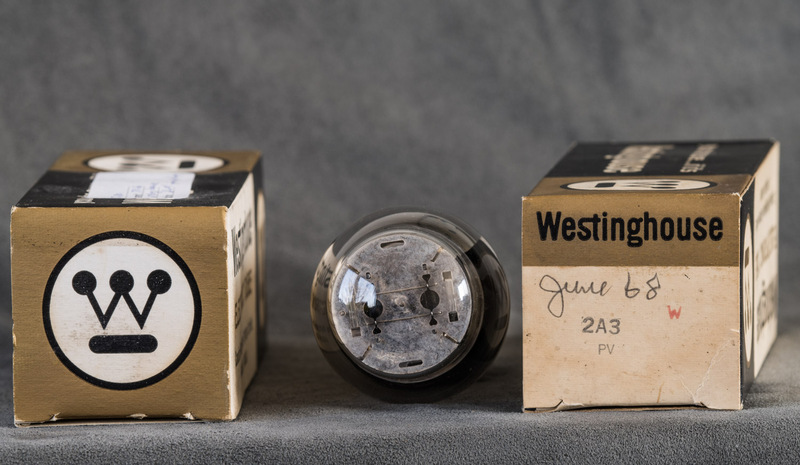 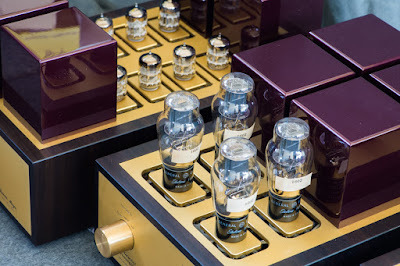 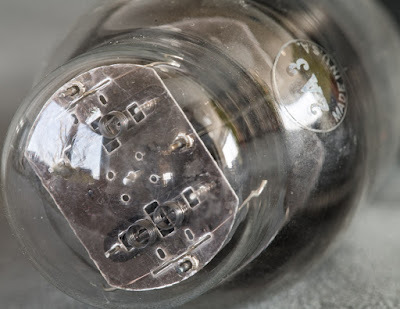 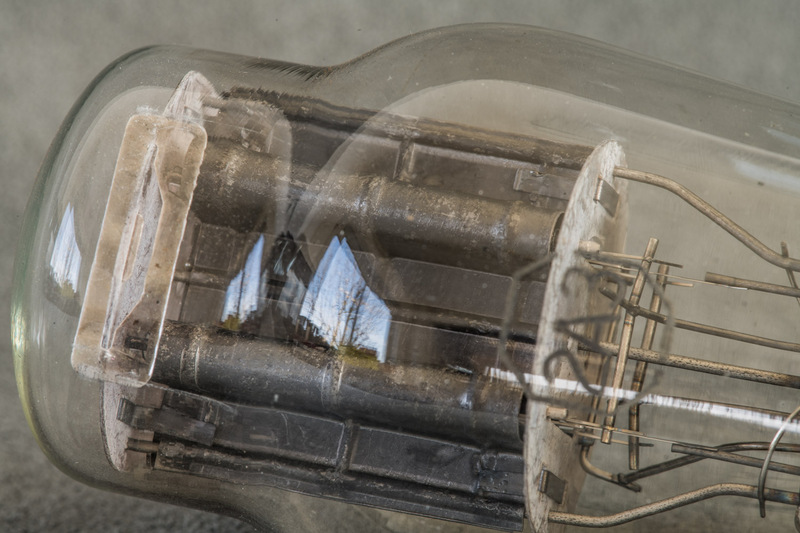 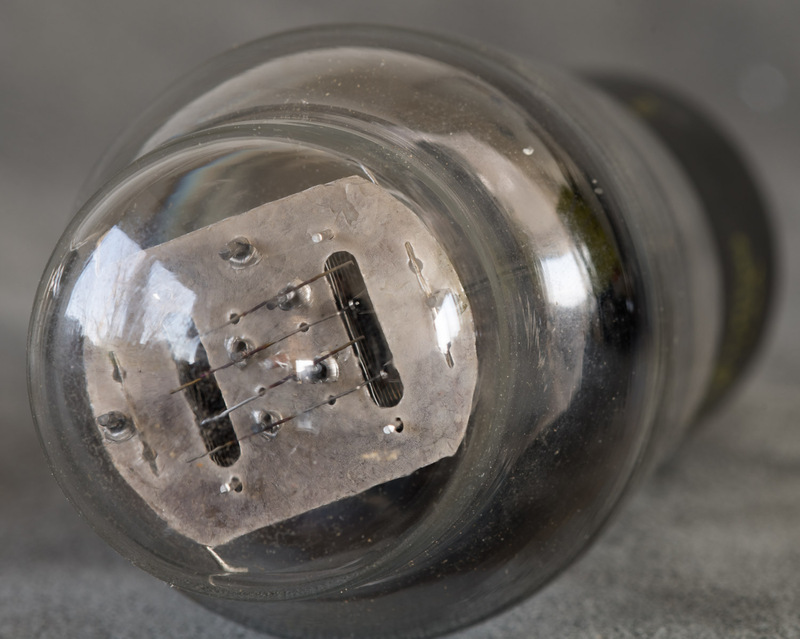 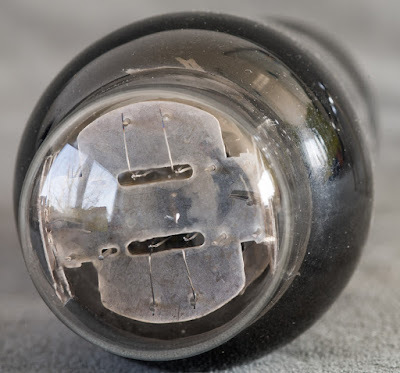 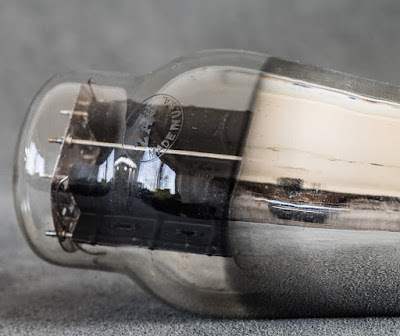 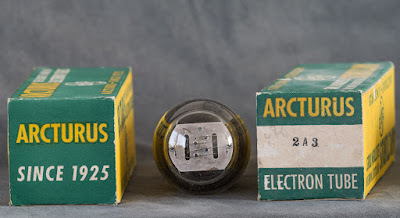 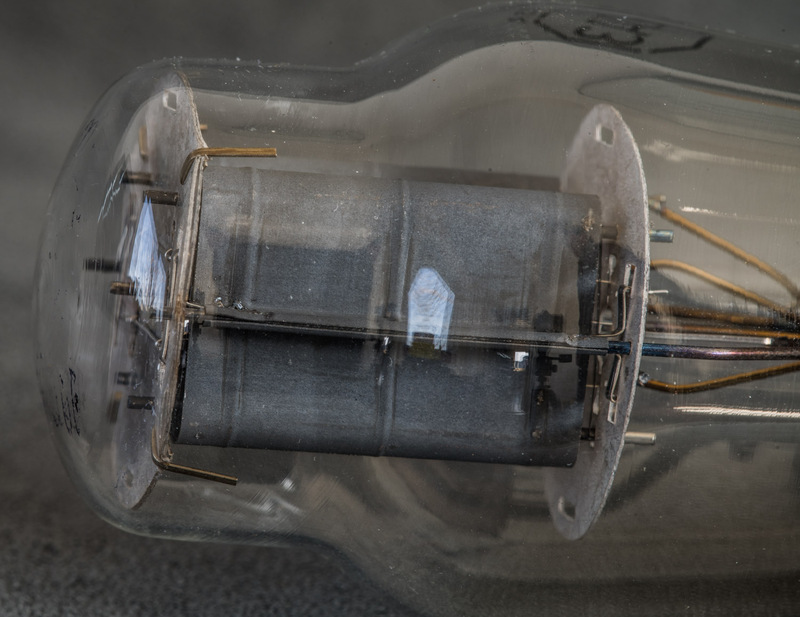 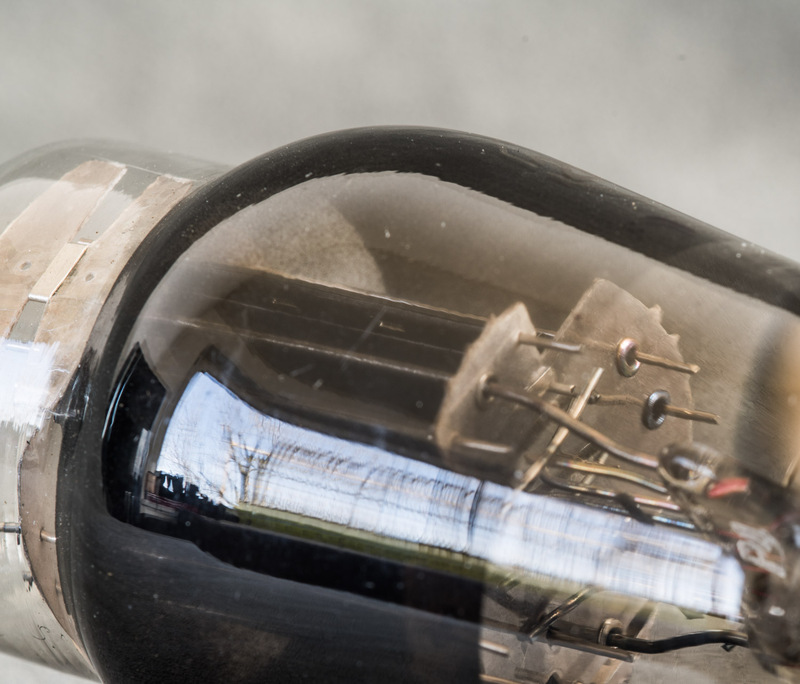 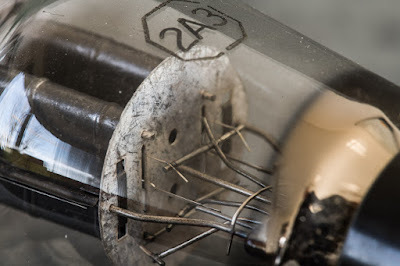 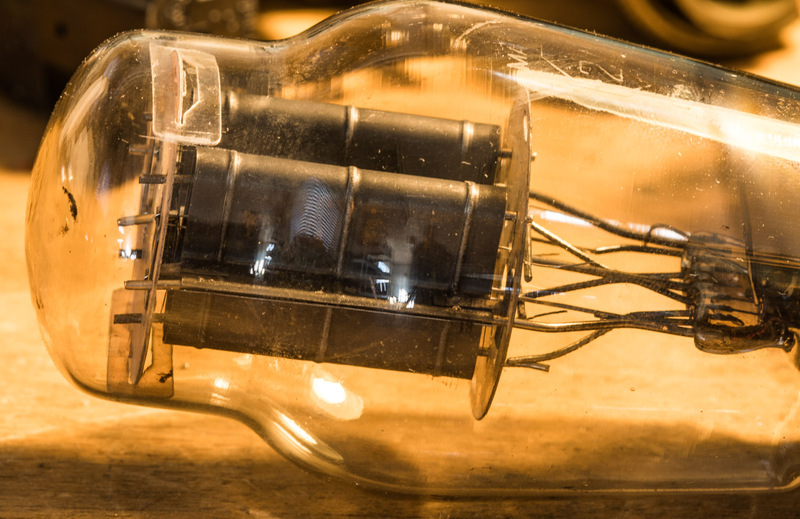 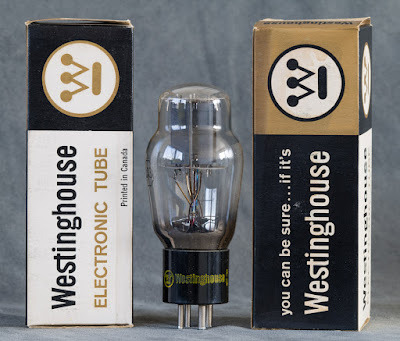 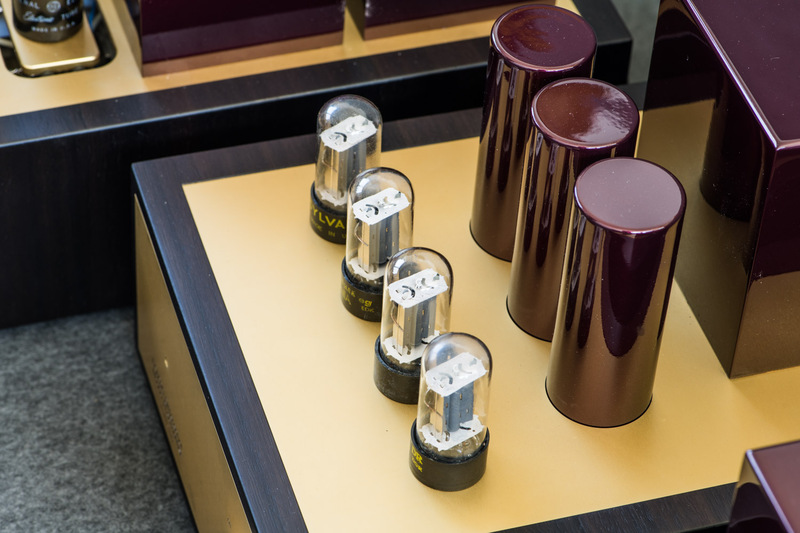 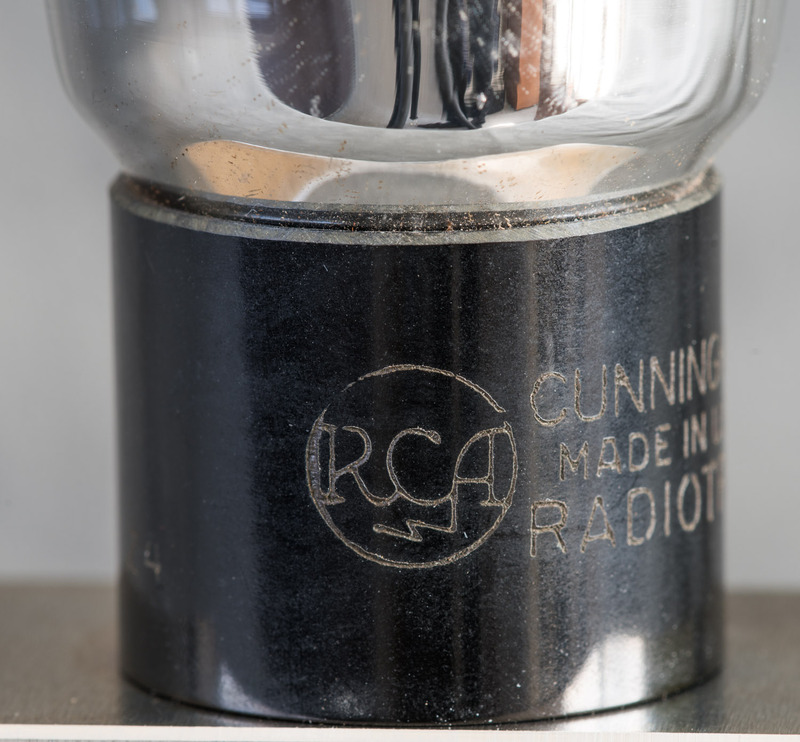 A nice triode which deserves it's popularity!